From wheels for your SUV to your motorcycle or passenger car, we offer you a vast product range, which even includes rims. If you would like, you can opt for one of our complete wheel and rim packages as well. Alternatively, there are plenty of speciality and motorbike wheels for you to choose from. Just be sure to select the correct width, height, and diameter as part of your tyre search. However, there are several other key factors that come into play during the selection process. You will need to choose the right wheel type as well. As such, you will want to decide whether you are looking for wheels for summer, winter, or year-round all-season use. Also note that can opt for run-flat wheels, which keep you protected and make it easier for you to get to the next workshop in case of a tyre emergency. Last but not least, your budget will also play a role. If price is a prime concern in your selection procedure, then some of our extremely affordable Chinese tyre brands might be of interest. After all, there are many tyre makers from Asia that are known for their quality wheels at incredibly low prices. 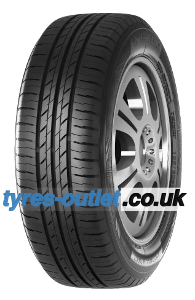 To help you decide we also provide free detailed tyre test results. These show you how these wheels really perform on different types of road surfaces. Thanks to lots of honest customer ratings, we are able to provide you with this first-hand feedback.